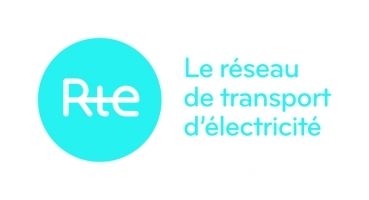 The limited company RTE, a subsidiary of the EDF Group, manages the French electricity transport network. A public utility, its role is to operate, maintain and develop the high and very high voltage network. It ensures the smooth functioning and safety of the electricity system. RTE transports electricity between (French and European) electricity suppliers and consumers, whether they be electricity distributors or manufacturers connected directly to the transport network. With 100,000 km of lines between 63,000 and 400,000 volts and 46 cross-border lines (called "interconnections"), the network managed by RTE is Europe's largest. RTE made a turnover of €4,130 million in 2009 and has 8,500 employees. From the outset, RTE's environmental policy has been part and parcel of an open and progressive global outlook. Built on trust and dialogue, it is based on permanent co-operation with the stakeholders involved. This is reflected on a daily basis in concrete initiatives and an approach favouring constant progress with the aim of reducing its environmental impacts, preserving biodiversity and helping to combat climate change. bird behaviour studies to protect them from collisions and electrocutions. A partnership was signed some time ago between FNE1, the LPO2, ERDF3 and RTE. It led in 2004 to the establishment of a body for consultation, monitoring and research concerning birds known as the CNA4, which meets four times a year. revegetation of the areas beneath pylons and the development of forest corridors, carried out in partnership with hunting federations. In fact, in agricultural areas, the "non-cultivated areas" below pylons are wastelands useful for maintaining biodiversity. Their value can even be enhanced by planting shrubs compatible with the crops, providing a habitat and food for wildlife. introduction of plant species compatible with the presence of power lines, promoting biodiversity of both flora and fauna. Consequently, in woodlands, the opening up of the natural environment with forest corridors established to safeguard the network has enabled rare species to appear in these corridors, protected from urbanisation and intensive farming practices. appropriate maintenance of certain outstanding areas for biodiversity, such as mowing for calcareous grasslands, promoting the growth of endemic orchids. studies on biodiversity in power line corridors: in woodlands, the opening up of the natural environment with forest corridors, originally carried out to safeguard the network, is promoting the natural development of biodiversity which complements the biodiversity observed under plant cover. Rare species have reappeared in these corridors, protected from urbanisation and extensive farming practices. Consequently, in the framework of an agreement signed between Île-de-France Regional Council, the National Museum of Natural History and RTE, botanists from the Paris Basin National Botanical Conservatory have surveyed the plant species found within 170 km of power lines located in Seine-et-Marne. Studies are also being carried out in the areas surrounding forest corridors in partnership with regional nature parks. partnerships with the stakeholders involved (such as owners, operators, associations, etc.). These are sought out in order to enable these specific developments. For example, RTE has already entered into partnerships with regional nature parks, naturalist associations, hunting federations (agreement with the FNC5), local authorities and private individuals, so expanding and enhancing concrete activities and local projects. RTE would like to expand and enhance this type of initiative. Finally, the areas covered by power lines can be thought of as ecological corridors contributing to the creation of the "green belts" launched in the framework of the Grenelle environment round table. Local partnership agreements with regional nature parks have been signed to promote the use of forest corridors to establish "green belts".